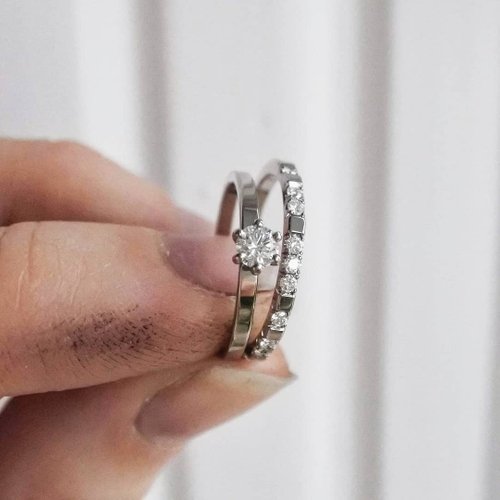 Height & width of the ring band is 1,6x1,6mm. This piece of jewelry is made in Sweden in recycled gold & conflict free diamonds. 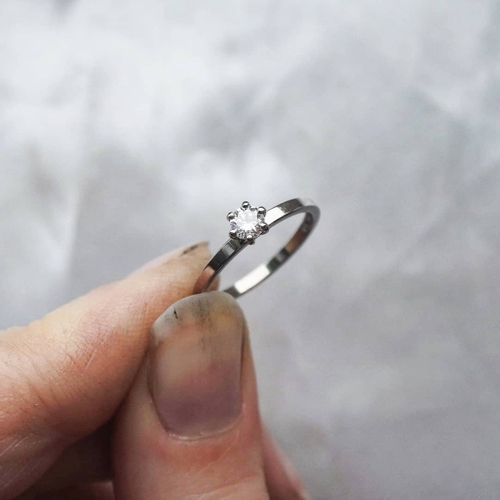 This ring is made to order after your ring size & choice of metal. The delivery time is approximately 6-10 weeks. Do you need your ring faster? Email me at contact@malinivarsson.se and we will see what we can do. The sizes are written in " circumference / diameter". Don´t know your size or need help? Contact me and I will help you. Engravings inside of this ring is included. The engraving is made by hand by an engraver on Gotland. Write your choice of engraving in the "Add comment" at check out (maximum of 20 signs)! The most classic way to engrave inside of wedding or engagement rings is for example "Malin 5/4 1994"